Photo: View to the north from the Cathedral tower. Eastern Mojave Vegetation View to the north from the Cathedral tower. 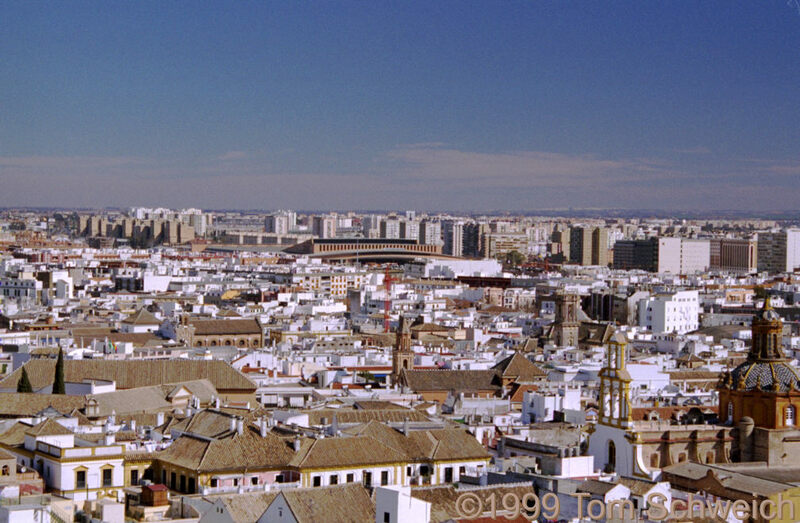 The large building in the middle ground is the Santa Justa railroad station.